As the planet’s human numbers grow and environmental concerns proliferate, natural scientists, economists, and policy-makers are increasingly turning to new and old questions about families and kinship as matters of concern. From government programs designed to fight declining birth rates in Europe and East Asia, to controversial policies seeking to curb population growth in countries where birth rates remain high, to increasing income inequality transnationally, issues of reproduction introduce new and complicated moral and political quandaries. 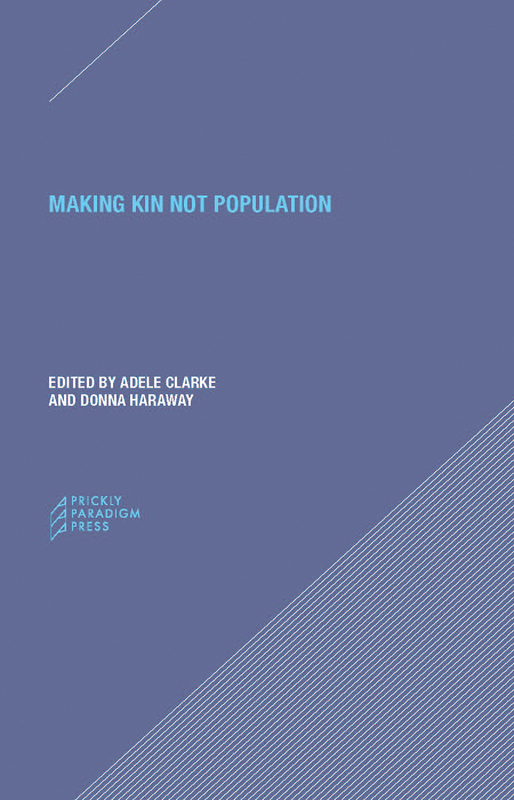 Making Kin Not Population ends the silence on these issues with essays from leading anti-racist, ecologically-concerned, feminist scholars. Though not always in accord, these contributors provide bold analyses of complex issues of intimacy and kinship, from reproductive justice to environmental justice, and from human and nonhuman genocides to new practices for making families and kin. This timely work offers vital proposals for forging innovative personal and public connections in the contemporary world.